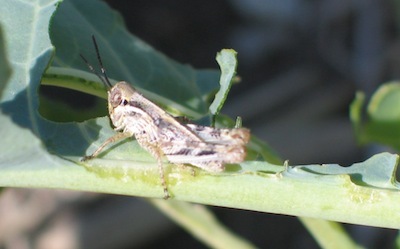 Grasshoppers can thrive in hot weather. 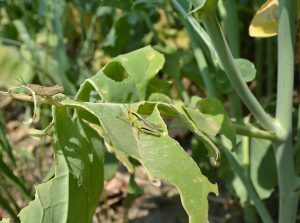 The nominal threshold for grasshoppers in canola is 8-12 per square meter, although the higher end of that range may be more appropriate in a typical canola crop. Flea beetle spraying continues in Manitoba where crops are advancing slowly due to excess rain and limited warmth. Redbacked cutworms are still causing severe damage in southern Alberta. Some sprayed fields need to be reseeded.